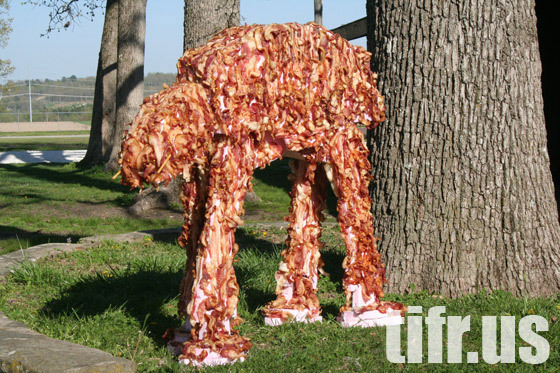 Star Wars + Bacon. 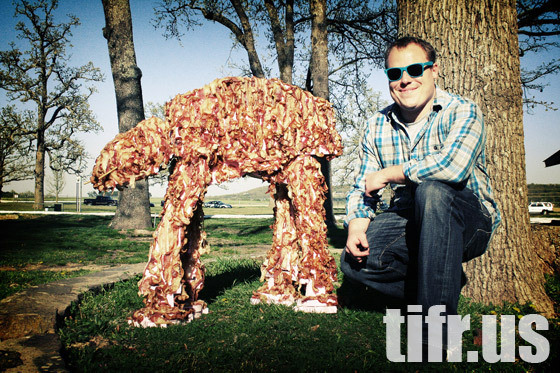 Two great tastes that taste great together. 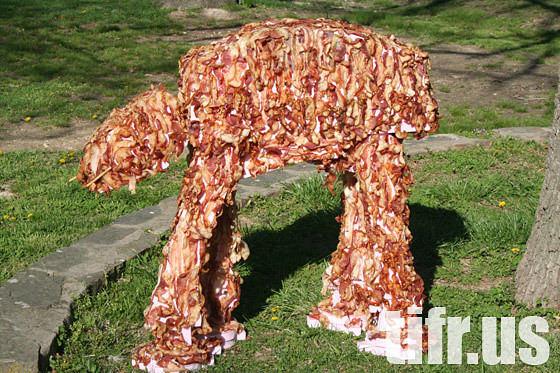 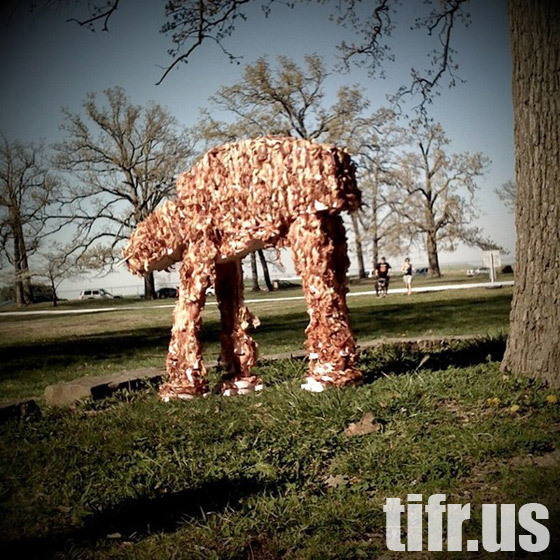 This 3-foot tall Bacon AT-AT is made from 40 lbs of pork products and proves there must be a god somewhere out there.